It seems like in most cases, when a car and a bus collide, it’s the driver of the car who is found to be at fault. However, a Lisbon Ohio case is breaking the mold. On November 22, 2014 tragedy struck Lisbon when a car skidded into the path of an oncoming school bus. Three teenagers in the car, 19-year-old Storm Angione, 16-year-old Savannah Russell, and 18-year-old A’liyia Hancock, perished as a result of the collision. At the time of the accident, the state troopers who first arrived on the tragic scene declared that the accident was a direct result of Savannah Russell, who was driving the car and lost control of her vehicle. The report stated that the school bus driver didn’t have time to stop the bus before striking the smaller car. 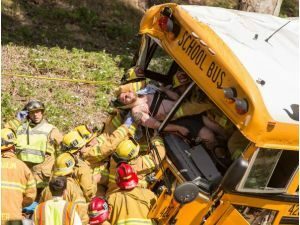 No one was surprised when a wrongful death suit was filed, but many were startled to see that one of the names listed on the lawsuit was Deborah Dustman, the driver of the Brown Local School District bus. According the claim, she was driving too fast for the road conditions which meant the impact of the collision was harder than it would have been if she’d been driving slower. What isn’t made clear in the lawsuit is just how fast the bus was traveling. In addition to suing the bus driver, the parents of Storm Angione also feel that Tanya McLaughlin, the Columbiana County Sheriff dispatcher who was on duty at the time, should be held responsible for their child’s death. According to the paperwork Angione’s attorney filed, they feel that McLaughlin didn’t respond properly when told the accident was severe and that if she had, it wouldn’t have taken 45 minutes for the EMT’s to reach the scene. The parents feel that it was this delay that made it impossible for their child to survive their injuies. The paperwork filed by Angione’s attorney states that they’re seeking punitive damages for negligence and wrongful death. 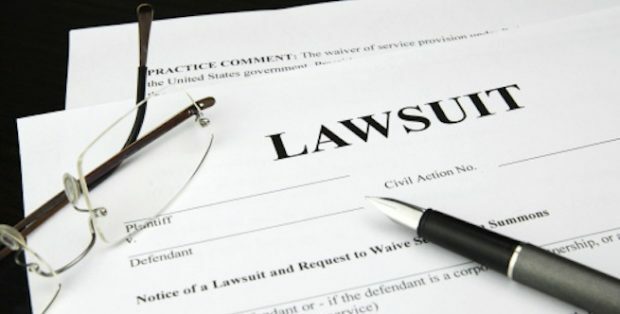 In the United States a large portion of the wrongful death lawsuits filed each year are connected to auto accidents. According to the U.S. Department of Transportation, in 2008 37,261 wrongful death lawsuits as a result of a vehicular accident were filed. 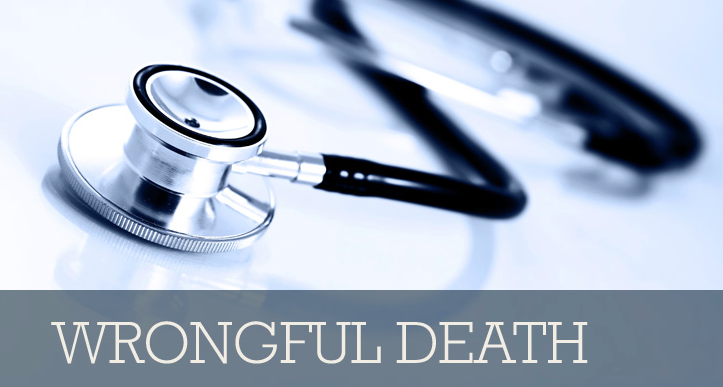 When a wrongful death lawsuit is filed against someone, it indicates that the loved ones of the victim feel the person named in the lawsuit could have done something differently that would have resulted in a different, less fatal, outcome. In some cases, such as the one in Lisbon, Ohio, it’s believed that the person named in the suit were negligent. Other cases list unjust actions leading up to the fatal accident.. Whether you are someone who has been named in a lawsuit, or you feel you have grounds to file a lawsuit, you need the services of an experienced wrongful death lawyer, like John Bales. Not only does the wrongful death lawyer help file the paperwork and present your case to a presiding judge, they also investigate the circumstance surrounding the vehicular accident and advise you about the best way to proceed. 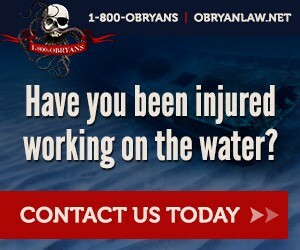 Contact us for additional information regarding how a wrongful death lawyer can help you following a tragic accident. Shortly after 8 p.m., Saturday night, a fire truck, with emergency lights and sirens on, was responding to a report of a gas leak, when it hit a man at E. 15th St. and Irving Place in Manhattan police said. The Ladder Co. 3 truck ran over one of the man’s legs. A witness said the man was launched several feet and wound up under the truck. The 34-year-old suffered a severe leg injury and was taken to Bellevue Hospital. The fire truck stayed at the scene. Although it isn’t often we hear of emergency response vehicles being involved in accidents with pedestrians, pedestrian accidents with other vehicles are a daily occurrence in New York. In fact they are so common to life in the city, it has motivated Mayor Bill de Blasio to unveil an extensive set of proposals expected to improve street safety in New York City. He has pledged considerable police resources and political capital. The 42-page plan has its roots in a Swedish street safety approach known as Vision Zero. Vision Zero views all traffic deaths as fundamentally preventable. Measures like, New York Police Departments will increase precinct-level enforcement of speeding, and to keep delivery vehicles out of travel lanes when they are double parked, park lanes will be widened, will be taken in an effort to step up safety. Tuning out traffic and their surrounding is making pedestrians more vulnerable. Listening to music, texting, talking on the phone, wearing headphones, are dangerous behaviors to engage in while walking the busy streets of New York. 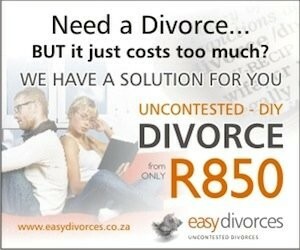 Experts have stated that while there is little hard data on this issue, there is plenty of anecdotal evidence. 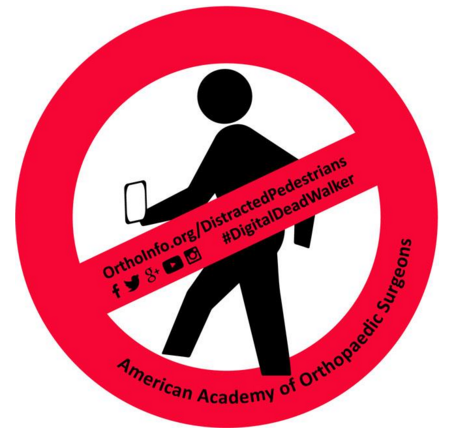 Smartphone distractions for both drivers and pedestrians is partly to blame for the number of pedestrian fatalities beginning to rise in 2010 after years of holding steady. While you walk, focus on the people, objects and obstacles around you. Mayor Bill de Blasio said, “Our lives are literally in each other’s hands,” and he couldn’t be more right. Safety is everyone’s responsibility. If you were in a pedestrian accident and suffered a personal injury caused by a negligent driver, it is important to seek legal advice from a New York Personal Injury Lawyer immediately. A New York personal injury attorney will know how to protect your rights and can ensure you are fairly compensated for loss of wages and medical costs relating to your injury. 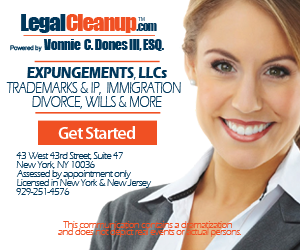 Pulvers Thompson Personal Injury Lawyers has been assisting the greater New York area for over 70 years. 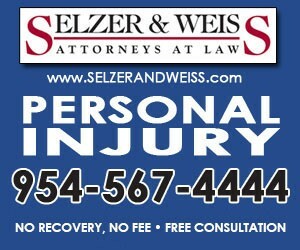 Experienced New York Personal Injury Attorneys are crucial when an injury is serious. The process of financial recovery can be long and complicated. Contact Pulvers Thompson Personal Injury Lawyers today.